"The Country of 1,100 Springs"
No regular office hours for Chamber. A non-profit, all volunteer organization. Serves: Barksdale, Camp Wood, Montell, Vance, together known as the "Nueces Canyon"
Tinker The Fossilized T Rex: Tinker has found a new home in Camp Wood after originally resting for thousands of years in the Hell Creek Formation of western South Dakota. This fascinating fossil can now be seen by all those interested in pre-history right here. Bruce Park Rodeo Grounds: TX-55, Camp Wood, TX 78839, just N of town. Lake Nueces Park (Wes Cooksey RV Park): 830-597-3223; TX-55, Camp Wood, TX 78839. A Uvalde County park on Lake Nueces and Nueces River, 3 mi S of town. 30 RV hookups all with water and electricity, some with sewer. Scuba, volley ball, boat ramp, basketball, showers, swimming, horseshoes, tent camping. Lindbergh Park: TX-55 (TX-55 at 5th & 6th Streets, Downtown), Camp Wood, TX 78839. Named after Charles Lindbergh, the pilot, who landed in the Nueces Canyon in the 1920s. Located in town on TX-55 where many local events are held including Old Settler's Reunion under the beautiful old oak trees. Also Lindberg Park Annex. West Side Park: Donated to the City of Camp Wood in the 1980s by the Catholic Archdiocese of San Antonio. Located at W end of 2nd St and has many pieces of equipment for children to enjoy. HISTORY: Handbook of Texas Online: "The settlement was founded in 1920 by workers of the Uvalde Cedar Company for the purpose of exploiting the abundant cedar in the area. The site of the town and the immediate vicinity have, however, been inhabited for several millenia, as revealed by archeological evidence. 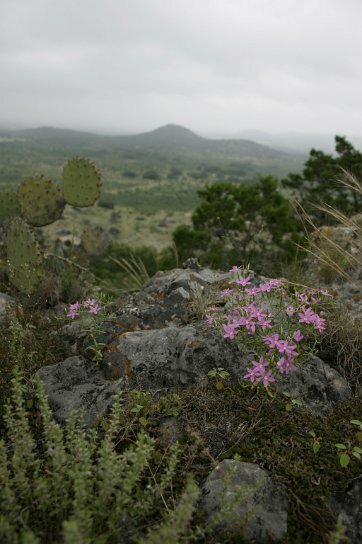 The town is situated in the Nueces Canyon on the Balcones Escarpment, at the southern edge of the Edwards Plateau, amid plentiful supplies of water, game, and other natural resources. The excellence of the site for habitation is attested by evidence of successive occupations since the Archaic and Neo-American periods. The modern town's water is supplied by the same spring that earlier served San Lorenzo de la Santa Cruz Mission (1762-71), established by Franciscans for the Lipan Apaches who inhabited the region during the historic period, and the United States military outpost Camp Wood (1857-61), from which the town derives its name. After the mission was abandoned, Indians continued to return to the site. White occupation did not cease with the withdrawal of federal troops at the start of the Civil War. Edward D. Westfall moved to the site at this time and remained until 1874, raising cattle and serving as a scout for Confederate troops stationed there. Jerusha Sanchez, a midwife in the Nueces Canyon, also reportedly came into the area in the early 1860s, and in 1864 the family of George Schwander was occupying the remains of the old mission when Lipans killed Mrs. Schwander and abducted their son, Albert. In 1873 the widow Elizabeth Hill moved to the canyon with her three sons, John, Ed, and Jim, the last of whom subsequently served as a scout for Gen. John Bullis and purchased a house from the Sanchez family. The United States military and the Texas Rangers also briefly reoccupied Camp Wood in the second half of the nineteenth century. In 1917-18 Joe Sweeten ran a store a mile north of the site of present Camp Wood on the Uvalde-Rocksprings road (Highway 55); the store served local ranchers and freighters hauling goods between Rocksprings and Uvalde and was referred to as Real City. 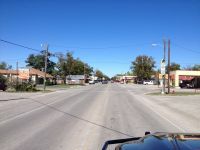 In 1920 Camp Wood became the northern terminus of the Uvalde and Northern Railroad, and the townsite was formally laid out. Cedar workers initially lived in tents, but during the 1920s the settlement rapidly developed into a prosperous community. The post office was established in November 1921, and the town was incorporated in 1936. However, the depression and the depletion of the region's cedar curtailed development. The Uvalde and Northern ceased operation in the early 1940s, and ranching, in particular the raising of Angora goats, replaced cedar as the principal industry, with tourism and hunting assuming increasing importance in the local economy. In March 1924 Charles A. Lindbergh made an unplanned stop in Camp Wood, three years before his solo flight from New York to Paris. 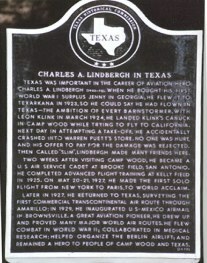 Lindbergh, then waiting to enter Brooks Field at San Antonio as a United States Air Service cadet, was attempting to fly to California with a friend, Leon Klink, and followed the Uvalde and Northern railroad up the Nueces River, mistaking it for the Southern Pacific along the Rio Grande. When the line ended at the recently established cedar town, Lindbergh, realizing his error, landed in a pasture to the north. Later, having flown to Camp Wood itself and landed on the main street, he attempted to take off, hit a telephone pole with a wing, and crashed into the paint section of Walter Pruett's hardware store. The two fliers remained in Camp Wood for several days, awaiting parts and making repairs, and their visit and the circumstances surrounding it were still vividly recalled and related over half a century later. In 1976 the town of Camp Wood renamed a park and a street after Lindbergh and Klink respectively, and the state placed a historical marker celebrating the event. Though population estimates for Camp Wood remained at 700 to 800 between 1920 and World War II, large amounts of local real estate were subsequently purchased by outsiders who are drawn to the area by its natural beauty and who use the land for hunting or vacationing; meanwhile, large numbers of young people have left in search of greater opportunity. In 1990 the population was 595, and in 2000 it was 822." Camp Wood is named after Major George W. F. Wood. While never stationed here, he was honored by his colleague and the camp's then commanding officer, San Bruno Wallace (May 1857). Wood died three years prior to this event. Cited by Bill Badger, American Military University, 2000, p.9. Note: According to Chamber office, regarding above quoted HTO article, "Lindbergh did not run into Walter Pruett's store, he ran into Warren Puett's Store". In the downtown area, TX-55 is called Nueces Street (runs N-S), and TX-337 is called 4th Street (runs E-W). BOATRIGHT CONSTRUCTION: 830-279-1334; TX-337, Camp Wood, TX 78833. 1/4 mi E of town. City Council meets monthly on 2nd Mon at Camp Wood City Hall at 5:30p. Two quaint rock cottages in the relaxing community of Camp Wood on the edge of the Texas Hill Country. Just minutes away from restaurants, grocery stores and shops downtown, and a short walk to the beautiful Nueces River. >> Click Web for more details. WES COOKSEY PARK: 830-597-3223; Camp Wood, TX 78833. See RV parks. SCENIC TRAIL RIDES: 830-597-6400; Camp Wood, TX 78833. Horseback riding facility located in Nueces Canyon area. Rides arranged via Clear Creek Outfitters. 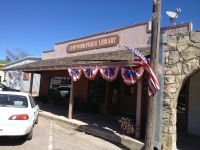 NUECES CANYON CHAMBER OF COMMERCE MUSEUM: 830-597-6241; Camp Wood, TX 78833. 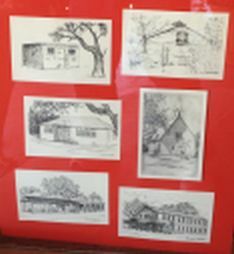 A small museum that contains an extensive arrowhead collection, the rumored propeller from Charles Lindbergh's Canuck misadventure mentioned in his autobiography, family heirlooms and antiques, and a miniature diorama of San Lorenzo de la Santa Cruz Mission created by the Texas Memorial Museum. Museum tours available, simply call 24 hours in advance. 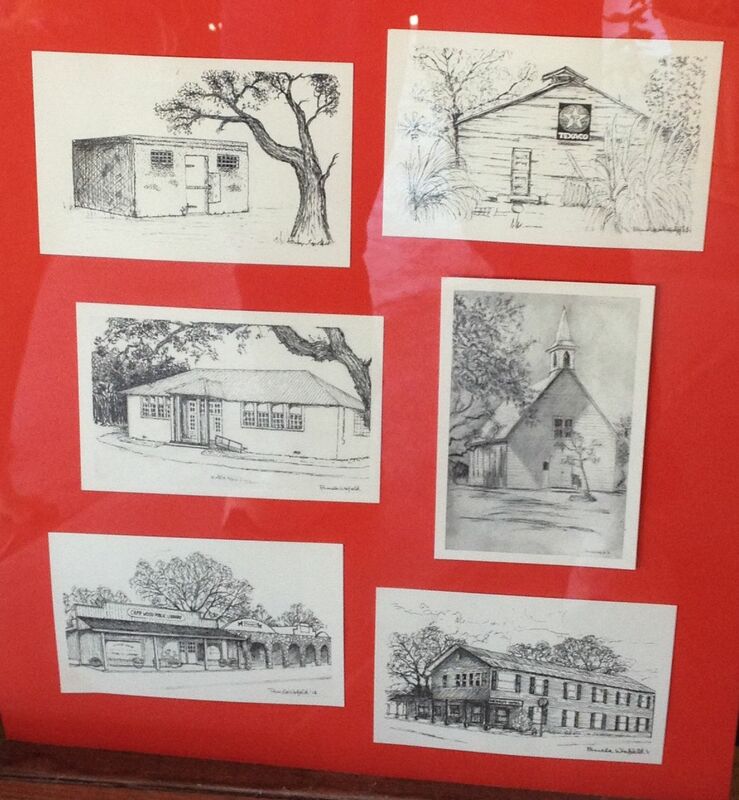 ART, HISTORY, MUSIC, FINE ARTS & THEATRE ASSOCIATION (AHMATA): Peggy Taylor, President, 830-234-3322. Provides many interesting activities during the year including AHMATA days, the Cowboy Symposium, theatre plays and movies, and a Jam Session monthly, on 4th Sat. All musicians are invited to join in the jam session. NEW HOPE AA/NA GROUP: 830-597-4367; Camp Wood, TX 78833. Meets Mon, 7p, at Ahmata Bldg. together known as the "Nueces Canyon"
HAMBURGER HEAVEN: Camp Wood, TX 78833. Located between the car wash and Trading Post. HARLEY'S HIDEAWAY BAR & GRILL: Now Blanton's, see above. STAIN GLASS DEPOT: 830-591-3257; E 7th St, Camp Wood, TX 78833. 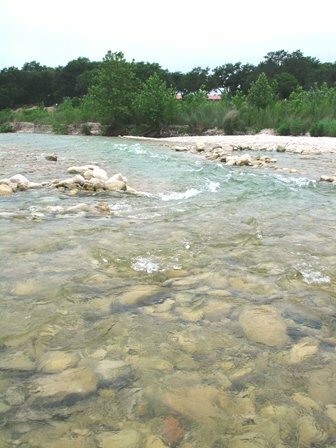 LOS RIOS CAMPGROUND: 830-597-4239; 751 River Rd, Camp Wood, TX 78833. https://losrioscampground.com. Several RV sites, plus cabins, pavilion on Nueces River. Camp Wood Elementary School, and sports facilities. There are no local utility service offices here. See area providers below and our Portal city profiles of neighboring larger towns, particularly Leakey.